I’m assuming you are already familiar with how to use nLite. If not, follow the first 7 steps in this guide to get up to speed. I’m using a version of XP Pro with SP3 already slipstreamed in. 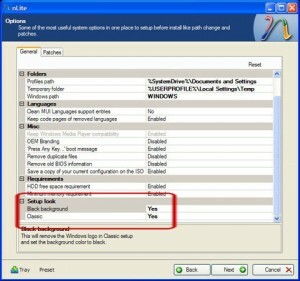 Next up, integrate in the RyanVM post-SP3 update pack available here. 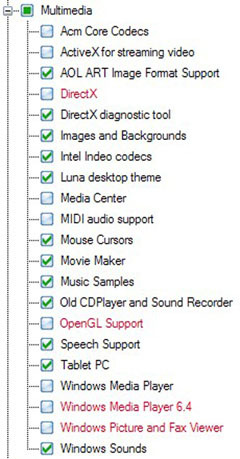 These are the options I selected for compatibility, I checked the options that I wanted to make sure I kept functionality for. For Applications components, I removed everything except Calculator, Charmap, Defragmenter, and Paint. 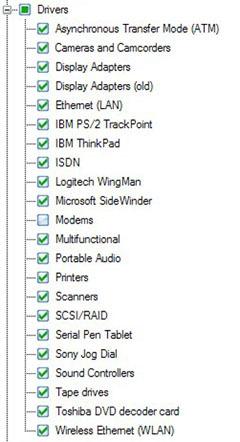 For Drivers, I removed everything except for Modems as I plan to tether my iPhone with my Aspire down the road. Here is what I removed under Hardware Support. 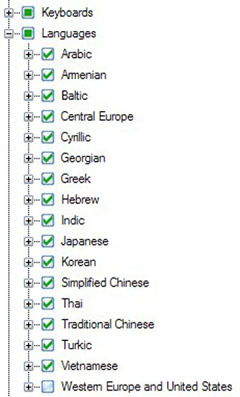 I removed all the Keyboard except the United States ones and did pretty much the same thing for Languages. 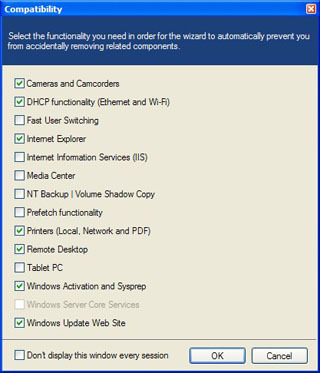 For Operating System Options, make sure you don’t remove Manual Install and Upgrade otherwise you will get a BSOD during setup if you try to install XP from a USB drive. 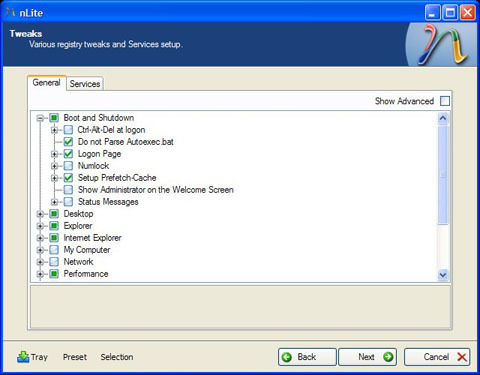 I didn’t remove any services as I planned on simply disabling them after the install. 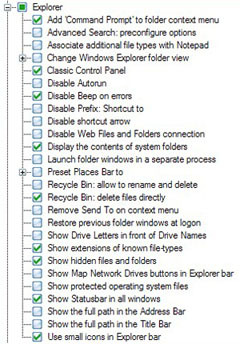 Also remove any unnecessary directories. The Unattended screen is pretty self-explanitory. 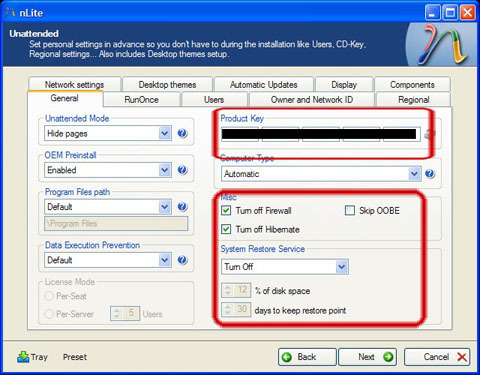 Fill in your Product Key, turn off the Firewall, Hibernate, and System Restore. Also flip through the tabs at the top and fill in details like Owner Name and your Timezone Region. I chose to go with the black background and classic-style installer as it’s supposed to be a bit faster. Under the Patches tab, I disabled SFC. Tweaks. These next few are completely up to you whether or not you want to apply them. 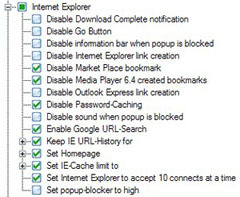 I skipped the My Computer and Network tweaks, you can look through them and see if there is anything you want to apply though. 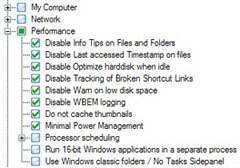 I would recommend applying the following Performance tweaks though. Privacy tweaks, kinda up to you. I skipped the Security tweaks, but feel free to look them over. My Start Menu tweaks are also completely up to you whether or not you want to apply them. Taskbar tweaks are again up to you. 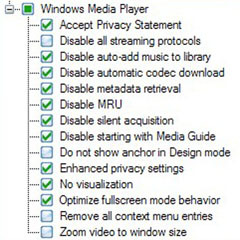 Windows Media Player tweaks are up to you. I really only use VLC Media Player though. Next up, start the process and you should end up with a reduction around 360MB. 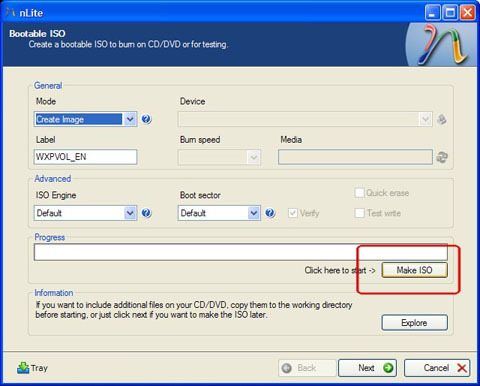 I would recommend making an ISO and burning it to a disc. 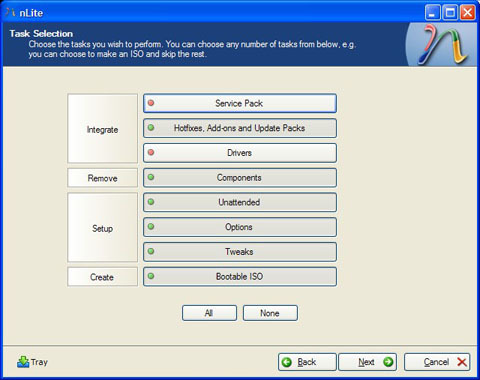 nLite saves the configuration on the ISO so you can always go back and further tweak your configuration. That’s pretty much it for the configuration part. 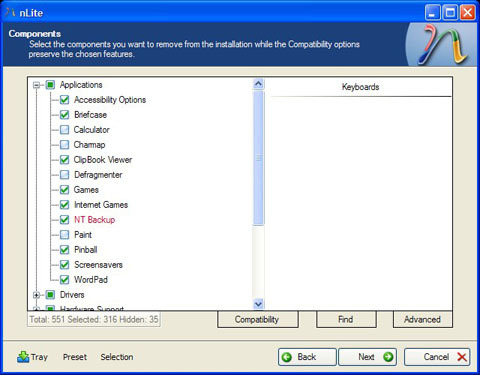 Simply put your XP install on a flash drive using USB Multiboot 10 available here (alternate link) and enjoy your custom slimmed-down version of XP! Thanks mate. 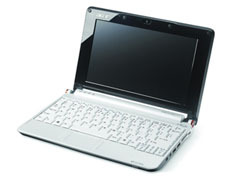 Looks good and I’ll advertise your blog in the acer aspire one users forum. 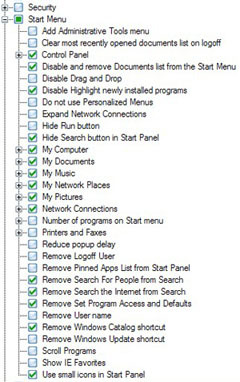 I will compare with my own configuration and see if i can remove more based on yours (mine only removes about 315-320mb)I started by using (and still am) Ron’s tinyXP but it has task scheduler and system restore removed, which makes it incompatible with a few softwares and even some games. I am still experimenting on my own XP, yours will help. Can you also give a list of reg tweaks you’ve done after the install if you’ve done any? I’ve got my process count down to 16 at bootup, let me know what you finally get an XP install down to installation-wise and service-wise. Maybe we can find the right combination to lead to a super-optimized XP config for the Aspire One.